Not to be confused with Indian playback singer KK (Krishnakumar Kunnath). 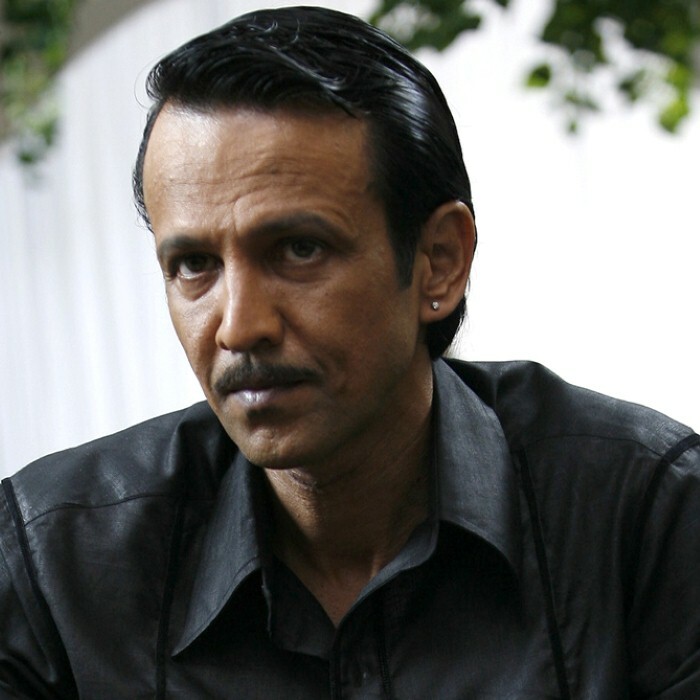 Kay Kay Menon (K. K. Menon) is an Indian film actor who works in Hindi cinema. He is mostly known for his role of elder son Vishnu in Sarkar, Brigadier Pratap in Shaurya, Dukey Bana in Gulaal, inspector Rakesh Maria in Black Friday and Khurram in the film Haider. "Kichu", as Menon was known among friends, studied at the St. Josephs Boys' High School in Khadki, Pune. He passed his 10th grade in 1981. He did his Bachelors (Physics) from Mumbai University and his MBA from the Department of Management Sciences(PUMBA) at the University of Pune, graduating in 1988 with a major in Marketing. He was popular in his class as a singer of ghazals. In the early years of his career, Menon worked in TV shows such as Pradhan Mantri and TV movies like Zebra 2 and Last Train To Mahakali. Menon was first noticed in Hazaaron Khwaishein Aisi, where he was greatly appreciated with fellow newcomer Shiney Ahuja, and received much acclaim for his performance. His performance as the anguished DCP Rakesh Maria in the movie Black Friday has been widely appreciated and acclaimed. The movie, based on the book by journalist S. Hussain Zaidi on the 1993 Bombay bombings, awaited an Indian release for almost two years before its final release on 9 February 2007. It was featured at the Locarno International Film Festival and received widespread praise. The Sunday edition of the Indian Express described his performance, "Excellent as always". In 2007, he acted in the commercially and critically successful Life in a... Metro, as the adulterous husband of Shilpa Shetty's character. In 2008, he was highly appreciated for his performance in the film Shaurya. He played the role of the antagonist in the critical and commercial failure, Drona, starring alongside Abhishek Bachchan. In 2009, he starred in The Stoneman Murders where he played a police officer on the hunt for the Stoneman serial killer. Kay Kay will now be seen in Dream Man, a new film by Makrand Deshpande. The film is a spoof on Bollywood. The versatile actor will be seen in 13 roles against Bollywood actors Afzaal Khan, Vasudha of (Aasma band) and Amit Mistry. He has been considered on par with actors like Irrfan Khan, Om Puri, Pankaj Kapur and Naseeruddin Shah. His Role as the Evil Son Vishnu in Sarkar ( 2004 / Ram Gopal Varma movie with Amitabh Bachhan in the title role ) was also memorable.